Last year, Instagram fashion critic account Diet Prada called out Spanish luxury fashion house Loewe over two particular looks: a sweater and a sling bag that feature a minimalist figure of two or three women wearing white hats, a signature weaving style of traditional Ecuadorian textiles. The design later confirmed to be a weaving style of the Otavalos, an indigenous group of Ecuador, is called “La Chismosas,” or gossipers in Spanish. The duo behind Diet Prada, who has since been a watchdog against design copycats, pointed out that the brand directly lifting this traditional weaving style into luxury items is not only lazy but also takes credit (and profit) away from the weavers who have spent centuries perfecting it only for some brand to pass it as their own without so much as acknowledging them. But even in the pre-Diet Prada era, designers ripping off communities of their cultural aesthetics is commonplace. In the country alone, many traditional weavers and supporters are crying foul over some local brands’ use of their weave for fashion purposes other than what these weaves are meant for. 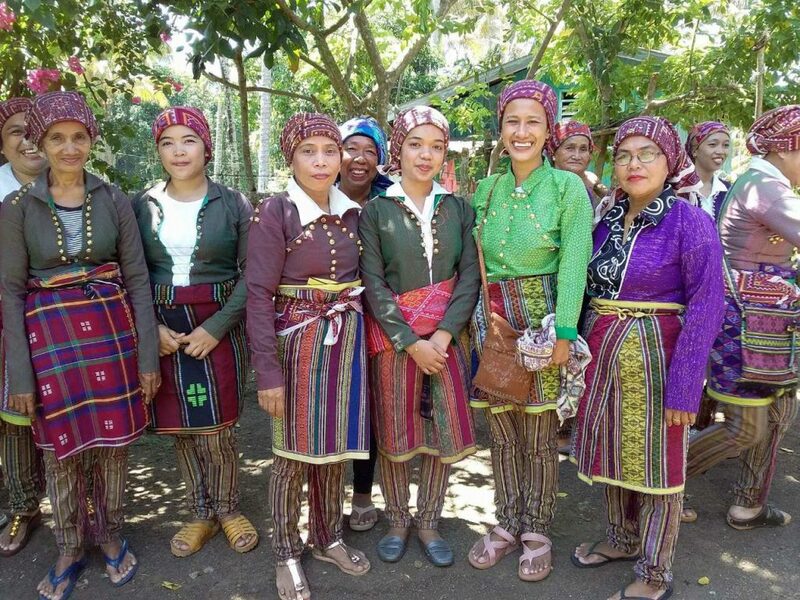 But not just that, Kelly Mortensen, Habi Fair 2018 coordinator told nolisoli.ph that the issue of fair trade is also plaguing the local weaving scene. “There’s still a big gap between weavers and brands that we want to close through Habi Fair,” Mortensen said. 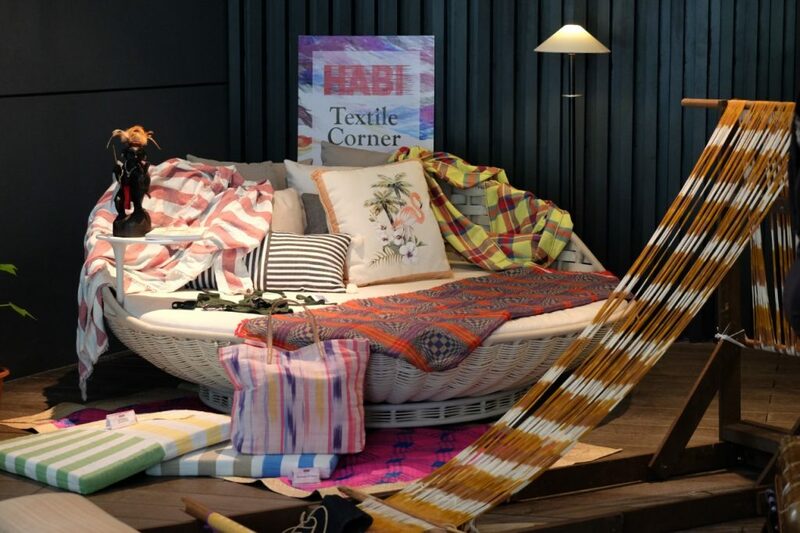 Habi Fair, a market fair organized by the Habi The Philippine Textile Council, now on its eighth run aims to be closest to fair trade as possible. The organizers charge nearly nothing—save for shipping cost—to connect weaving communities and entities to brands and designers. Mortensen shared that there are actually designers who are led to believe by middlemen that they are dealing directly with weavers but in truth are paying thrice (sometimes tenfold) as much. And the sad truth is, only a portion of this goes to the weavers who spends grueling days or even months to finish a piece of woven textile. But that’s only the tip of the iceberg in this issue. What’s worse is that weavers go completely unacknowledged in most cases. “There are a lot of recent collaborations out there that are using local weaves but fail to acknowledge the communities and locals behind it,” Mortensen said. Tuwas Yakan with Evelyndas Otong, a 4th generation weaver. 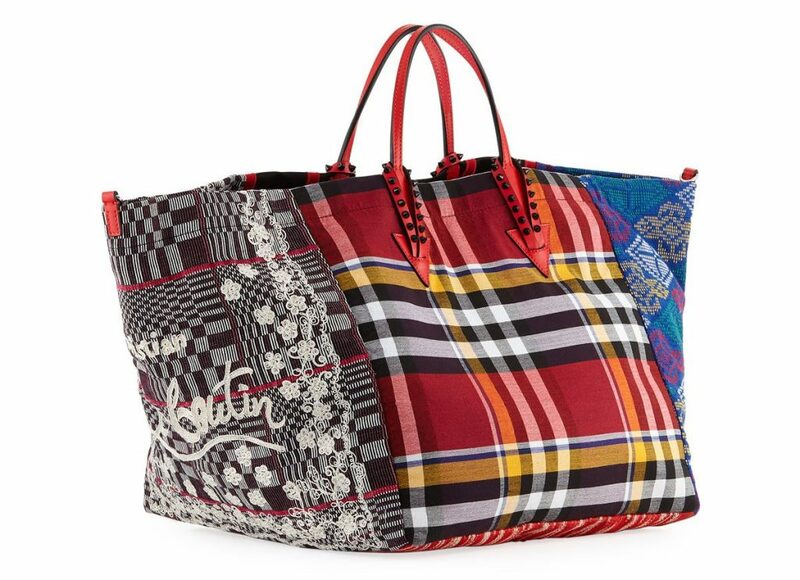 They wove the Yakan textiles for the Louboutin Manilacaba bag. Case in point is the recent collection of bags by French designer Christian Louboutin called “Manilacaba.” Two bags priced at P90,000 each were released and prominently displaying not only symbols of Filipino life like the jeepney but also colorful weaves like the hablon from Iloilo, binakol from Ilocos, and geometric-patterned weaves by the Yakan people of Mindanao. And yet no single mention of any of these weaves or the people behind them are mentioned on the designer’s website, nor on the Neiman Marcus or Bergdorf Goodman site where it is exclusively sold. Nothing, except for the group the brand supposedly worked with on scouting these materials and the communities. This has sparked rumors that some weavers behind the materials used were actually ripped off, with one story saying one weaver who made the plaid patadyong design for one of the bags was only paid a meager P170 per yard. 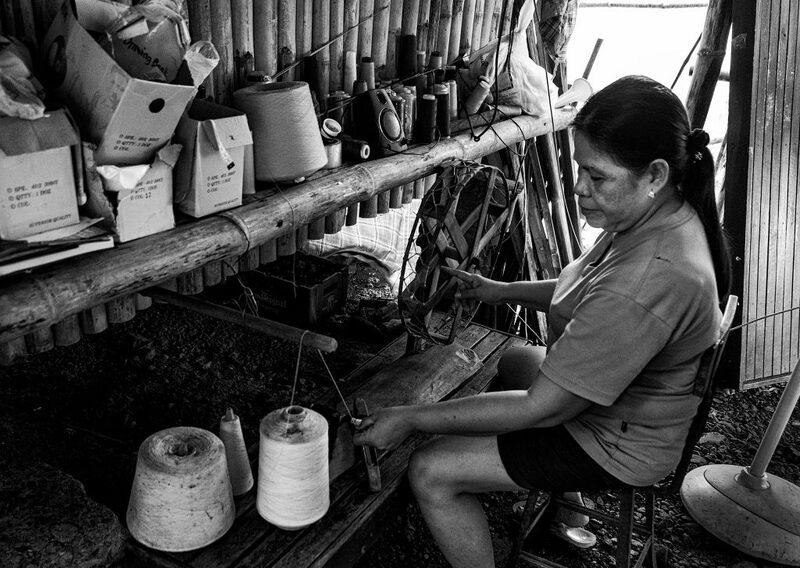 True or not, such scenarios bring forth a simple lesson in acknowledging the women (and men) who worked countless hours in far-flung areas to make these beautiful woven textiles. The contested patadyong design featured in one of Louboutin’s bags. When asked what consumers can do to help bring these issues to light and also give weavers more opportunities, Mortensen said that the current state of affairs, the least we can do is to ask who made their weaves and wear it from where it’s really sourced from as a way to pay respects to its origins. A lot still has to be done (fair trade agreements, education, giving more platform) to make sure weavers are given the credit and compensation they deserve but a good way to start may be to question. “WOVEN Voyages: 8th Likhang Habi Textile Fair 2018” will be at the Glorietta Mall Activity Center on Oct. 12-14.